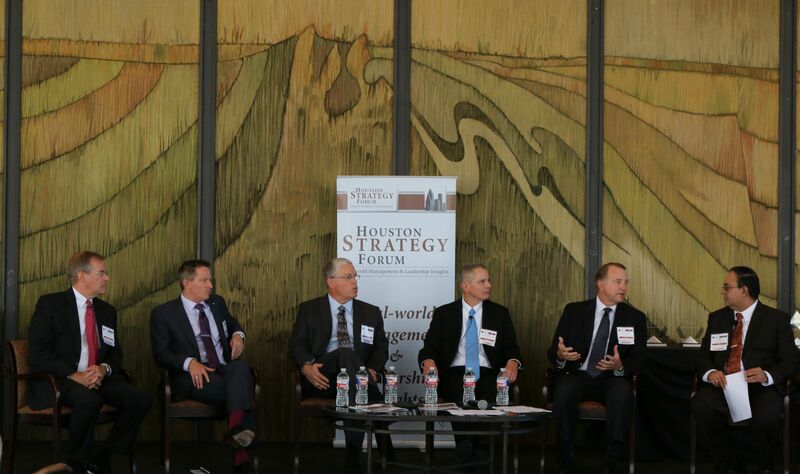 Become an Annual Sponsor of the Houston Strategy Forum today. TWO reserved tables of 10 with premier placement, close to the speaker's table, at HSF's symposiums and summits (including the table for the 10 Strategic Members). Collaboration with the Houston Strategy Forum in identifying and inviting future speakers who meet HSF's speaker profile requirements; influence the theme of our symposiums. Exclusive sponsor of HSF within your industry segment, and be called, "The Official _____ Firm of the Houston Strategy Forum." The UNDERWRITER level is equivalent to sponsoring HSF as an annual sponsor at the Pacesetter level (value: $25,000) and sponsoring every symposium during the year at the Direction Sponsor Level (value: $175,000).